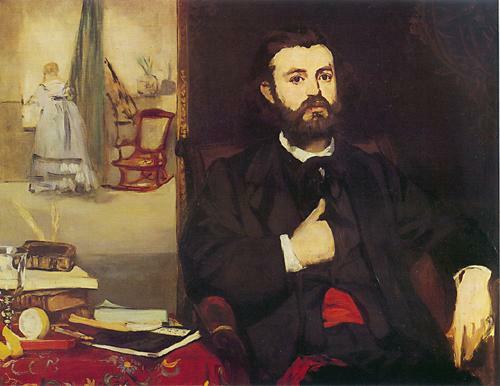 French painter and printmaker who in his own work accomplished the transition from the realism of Gustave Courbet to Impressionism. 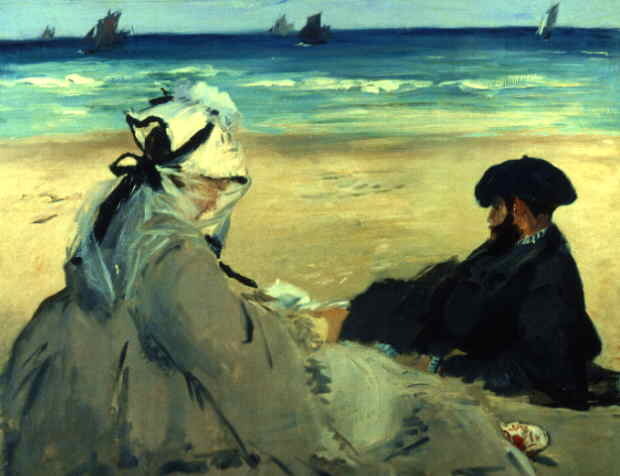 Manet broke new ground in choosing subjects from the events and appearances of his own time and in stressing the definition of painting as the arrangement of paint areas on a canvas over and above its function as representation. 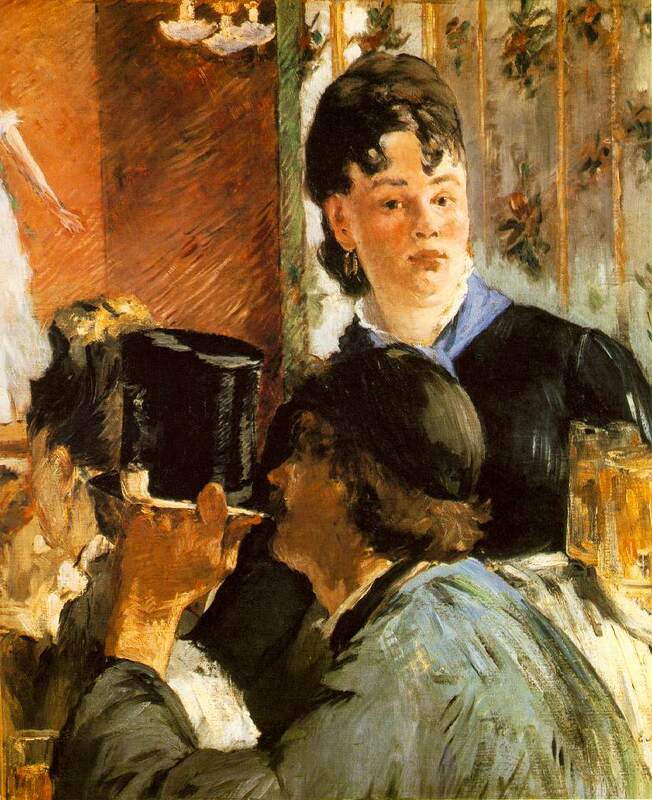 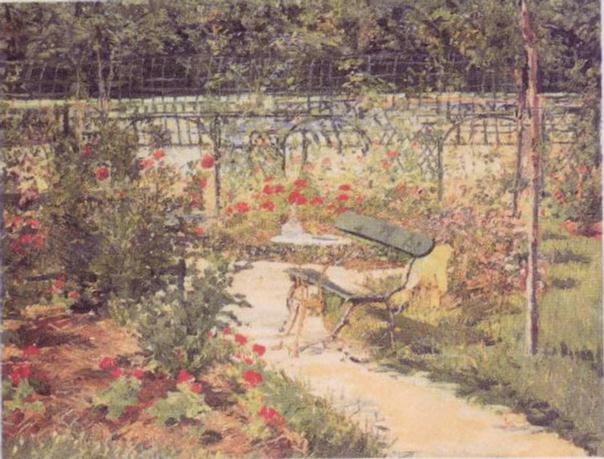 Exhibited in 1863 at the Salon des Refusés, his Le Déjeuner sur l'herbe ("Luncheon on the Grass") aroused the hostility of the critics and the enthusiasm of a group of young painters who later formed the nucleus of the Impressionists. 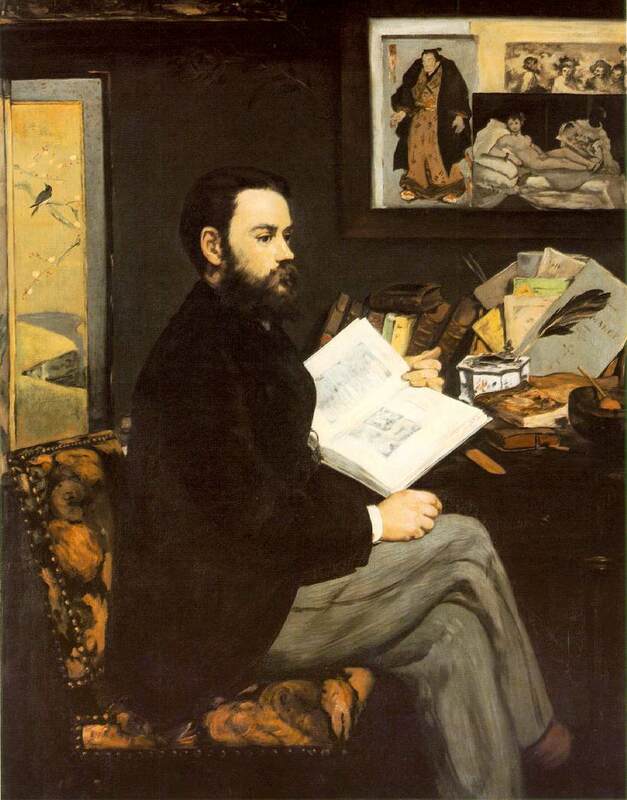 His other notable works include Olympia (1863) and A Bar at the Folies-Bergère (1882). 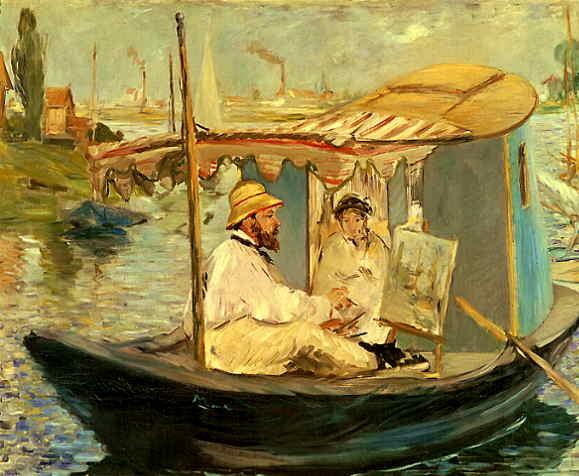 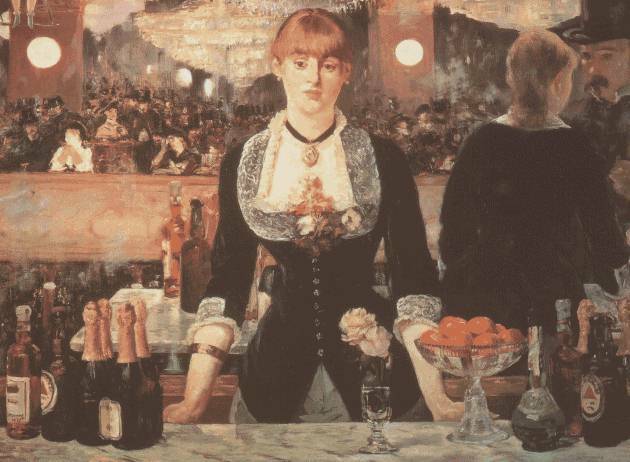 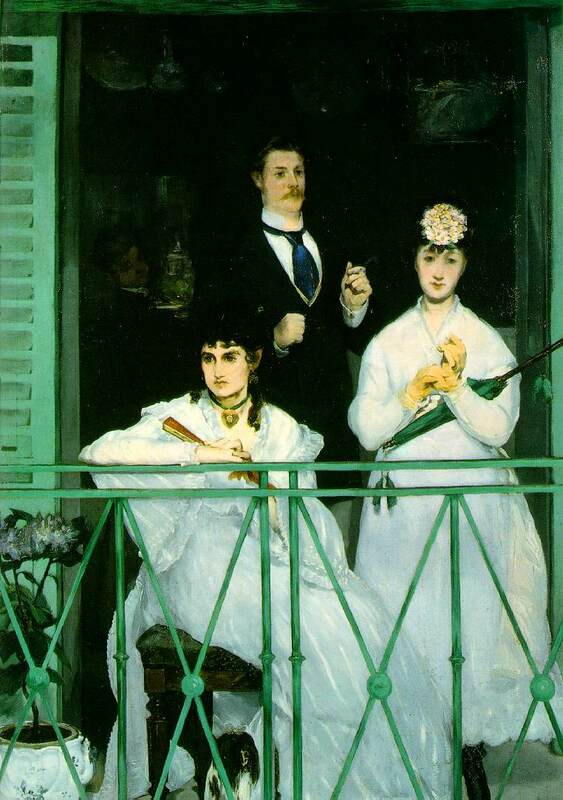 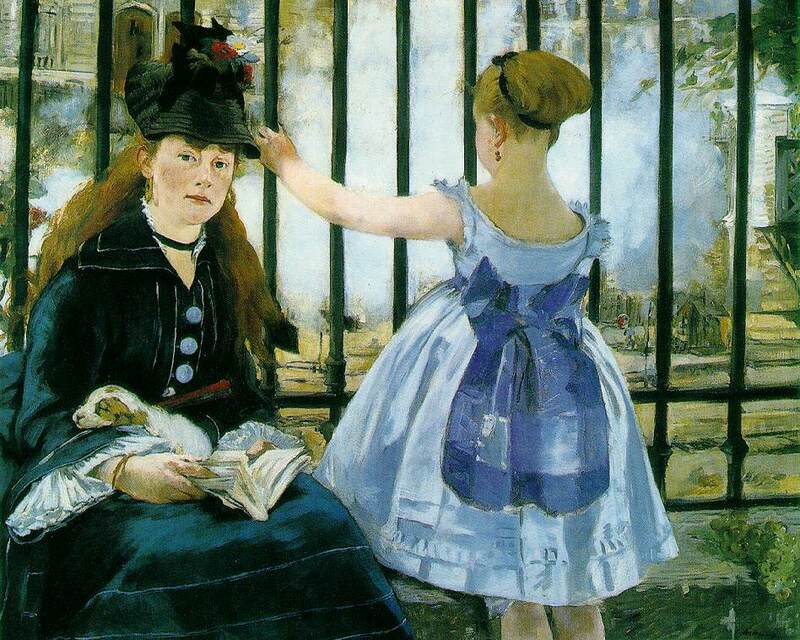 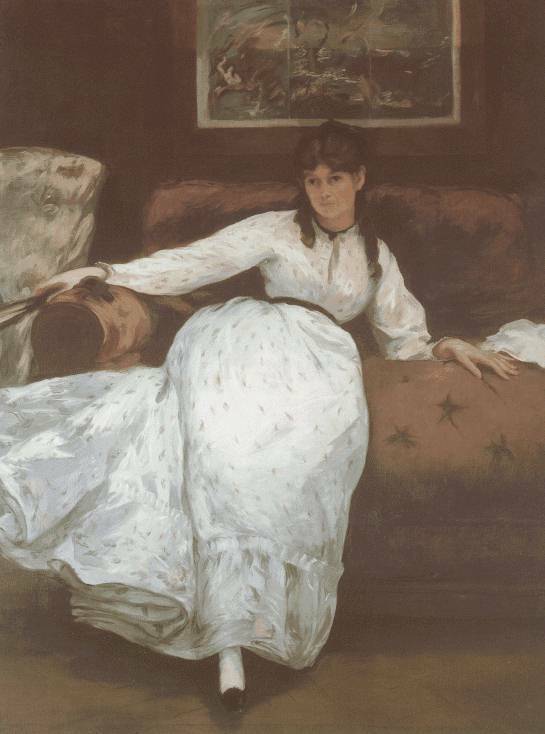 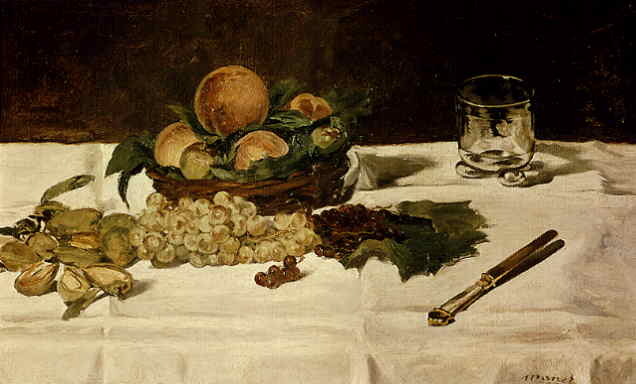 This sparkling portrayal shows extensive use of peinture claire , a technique Manet himself evolved.